And we have a winner of this year's The Band Christmas Quiz! Congrats to Davy Gallagher, and thanks to Jonathan Katz for the quiz. 67 years ago, on December 29, 1942, Rick Danko was born. He is deeply missed. The music will live forever. "Innovators in Music", featuring Levon Helm -- World Premiere on Bravo! Canada, January 14, 2010. New album with a cover of "Rag Mama Rag": Walkin' to New Orleans by Two Men from Earth. "Richard was one of my favourite singers and songwriters (and, not to forget, drummers). When Sam and Ann Charters came through London on their way to live in Sweden in 1971, Sam had brought me five of his favourite albums as a gift. One of them was Music From Big Pink. He sat me down (I was 15 at the time) and played me his favourite song, Richard's "In A Station." It sounded like nothing else I'd ever heard. It still sounds like nothing else I've ever heard. There's a lot of great writing about Richard's extraordinary qualities, and a quick web search turns most of them up, or go to Jan Hoiberg's excellent site on The Band. This song is a meditation on Richard's death. On March 4, 1986, after a gig at the Cheek to Cheek Lounge outside Orlando, in Winter Park, Florida, Manuel seemed to be in relatively good 'spirits' but ominously thanked Hudson for twenty-five years of incredible music.' The Band returned to the Quality Inn, down the block from the Cheek to Cheek Lounge, and Manuel talked with Levon Helm about music, film, etc., in Helm's room. According to Helm, at around 2:30 Manuel said he needed to get something from his room. Upon returning to his motel room it is believed that he finished one last bottle of Grand Marnier before hanging himself. [from Wikipedia]. When I came to the point in the song where there is usually some kind of solo I remembered a version of Georgia that Mark had worked on as he figured out how to record in Garageband. I dropped the mp3 in the track... oh, and thanks to John Scheele for his lovely correspondence." Q. What's the most underrated Christmas song? A. I did a Christmas CD a couple years ago. There's one song that I had never heard of before and it was by The Band. It's called "Christmas Must Be Tonight." I went wow, what a great song. I did that on my Christmas CD and I do it in my show every year. It's a great Christmas song. Thanks to Rick S. for the info. New photos of The Levon Helm Band in Philadelphia, June 2008. "To all our friends, Merry Christmas and Happy New Year from Levon, Sandy and all of us at Levon Helm Studios! 2010 is going to be another great year for Levon. At last night's Ramble, he sang again for the 2nd time in 2 weeks. I believe he's on the road to full recovery!!!! Thank you, to you all, for stickin' by him." 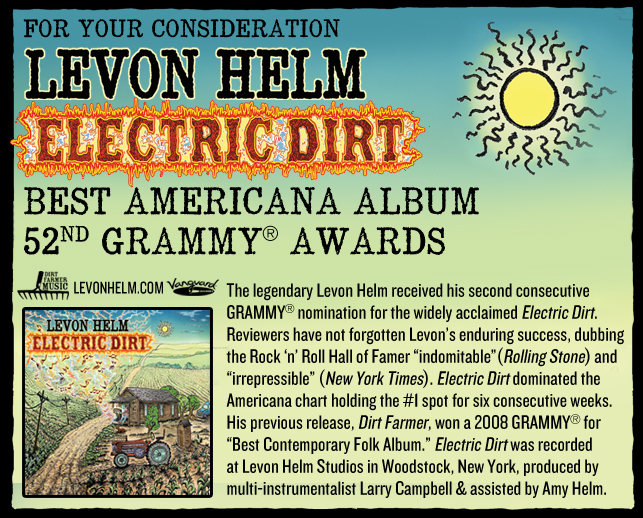 "Levon Helm and Electric Dirt named in top 25 albums of 2009 by Rolling Stone Magazine! Hurray, Levon!" As we all know, The Band's "Christmas Must Be Tonight" is mandatory to get us in the Holiday mood. Several versions of "Christmas..." with the OQ are available from YouTube. There are also various covers of this song on YT -- the worst so far is probably this live performance with Alejandro Fernandez and Patricia Kaas. Spectacle -- Elvis Costello TV show with Levon Helm, Nick Lowe, Richard Thompson and Allen Toussaint. December 23 at 10:00 PM on The Sundance Channel. 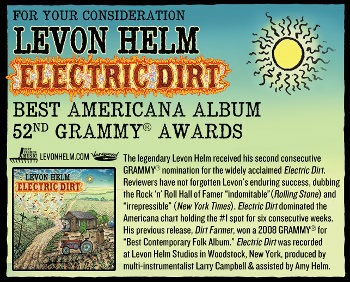 NPR has chosen Levon Helm's Electric Dirt as one of their "Best of 2009" albums. They're currently streaming one of the songs, "I Wish I Knew How It Would Feel To Be Free". "Please help get the word out and send this attachment to all your friends in your email address book, on facebook, twitter and whatever else you use to communicate on the internet. Thanks so much!" "No Tradition (A Christmas Song)"
"Terry's Christmas song was recorded live 'off the floor,' and though lovely, it is melancholy -- not your typical 'ho ho ho' reverie. The album is very introspective, mostly acoustic, a different Terry Danko than his fans are used to. These songs are the product of someone who has lived and experienced love, pain, and loss." The title track on Tom Pacheco's new album I'll Leave A Light On For You, due out on January 11 2010, is a tribute to his old friend Rick Danko. Ten years ago today, on December 10, 1999, one of the sweetest souls of rock'n'roll left us. Read Carol Caffin's tribute "The Flame Still Burns: A Dedication to Rick". New 2009/2010 concert dates for Jim Weider. Saturday, December 26, 8:45 p.m.
Thursday, December 31, 10:00 p.m.
On the new Jimmy Buffett CD Buffet Hotel, Robbie Robertson is mentioned in the liner notes. Buffett describes running into Daniel Lanois in Jamaica when the subject turned to rose wine, "which prompted a story Lanois attributed to Robbie Robertson about the ingredients of a party, especially in colder climates being to turn up the heat and chill the rose." Buffett relied "that's a song title" -- "Turn Up the Heat and Chill the Rose" is track 5 on Buffet Hotel. Check out this review of Jim Weider's Pulse album. CD available from Jim Weider's web site now! In the first part of the book, I describe my photographic journey and experiences in the Sixties - being part of a movement that we thought would change the world. For me, my well-known images of Bob Dylan (Nashville Skyline), The Band (Music From Big Pink and The Band), Janis Joplin (Big Brother & The Holding Company: Cheap Thrills), Van Morrison (Moondance), Jimi Hendrix, Jim Morrison and the '69 Woodstock Festival -- were a reflection of my belief that unity of purpose, shared consciousness, and freedom to behave as we wished, coupled with the power of music to liberate the soul, would set us free. Happy birthday to Scandinavia's best DJ! Added a photo of Rick Danko with Nenad Bach, at Madison Square Garden, NYC, early '90s. Copied from Bach's Facebook page. This Week's Featured Concert: The Band Winterland (San Francisco, CA) 11/25/1976. Here it is, the complete and unedited Last Waltz concert by the Band on Thanksgiving 1976. For the first time ever, hear the entire performance: almost 4 hours long with 42 tracks, 16 performers, all the stage banter, the entire encore... a must-listen. "Musical Legend: Sax player Gerry Penfound, who died in 1994, played with the band that would eventually evolve into The Band" -- new article from the London Free Press. The Band: Ultrasonic Studios, Hempstead, NY 1971 -- bootleg from the rehearsals for Rock of Ages. Link provided by Dr Katz. "Pithy Words of Wisdom from The Dankster," and, "Got a Minute? A Little Lament (and a Resolution)" -- two new, heartfelt posts from our friend Carol at her Rick Danko tribute site. "Jim Weider: Master of the Telecaster" -- interview/bio from Modern Guitarist. "Taking Percolator's Pulse with Jim Weider" -- from jambands.com. The Richard Manuel documentary film project, titled Tears of Rage: The Story of Richard Manuel, is "now in the final leg of filming," according to the project's facebook page -- go there to read more about upcoming interviews with Garth, Robbie and John Simon and the benefit gig for the project on Dec 1st. Note: The music portion of the "Tribute to Levon Helm" show in NYC tomorrow with Kris Kristofferson and Hubert Sumlin has been moved to Woodstock! For more info, see levonhelm.com. Blues & Chaos: The Music Writing of Robert Palmer has just been published by Scribner. It features a piece he wrote for Rolling Stone in 1978 on The Band called "Portrait of the Band as Young Hawks." The book also features quotes by Robbie Robertson. Palmer, who grew up in Arkansas, was a musician and writer who played in some of the joints The Hawks did in the early 1960s. Thanks to Tom Wilk for the update. If you're in NYC this weekend, check out this show: "A tribute to Levon Helm", featuring Kris Kristofferson and Hubert Sumlin! Sunday, November 15th at 8pm, the Tony Bennett Concert Hall at The Frank Sinatra School of Arts in Astoria, Queens, NY. Video from YouTube: "Tennessee Jed" -- The Levon Helm Band on the Late Show with David Letterman on 7/9/09. "Roger Daltrey Honors John Entwistle, Garth Hudson at L.A. Show". Veteran Texas singer-songwriter Robert Earl Keen's new album The Rose Hotel contains a song titled "The Man Behind the Drums," a tribute to Levon Helm. Sound sample available from Amazon. Many Band fans are familiar with the name Professor Louie & the Crowmatix, but not all fans are familiar with the group's authentic and original blend of roots, rock, country, and blues. If you haven't heard the music of Professor Louie & the Crowmatix, now is a great time to check it out. The group's seventh studio album, whose title song is a beautiful rendition of (and touching homage to) The Band classic "Whispering Pines," has just been released on Woodstock Records. The album features 10 songs from the Crowmatix' vast repertoire, including covers of two other Band classics, "The Weight" and "Ain't No More Cane," which was taught to "Professor Louie" by Rick personally. For those who don't know--and as The Band's fan base continues to grow and as younger generations continue to discover them, some of you don't--"Professor Louie" is producer, singer, songwriter, and multi-instrumentalist Aaron Hurwitz, who worked with The Band in a number of significant capacities in the second half of the 80s and throughout the 90s. In addition, his wife "Miss Marie" Spinosa sang background vocals for both The Band and for Rick. "Professor Louie" is a name that Rick inadvertently bestowed on Aaron, whose middle name is Louis and who is known by lots of friends as "Louie"--and the moniker stuck. Aaron began working with The Band--multi-tasking both in the studio and on the road as an engineer, co-produceer, keyboard and accordion player--in the 1980s. He also co-produced and engineered The Band's three albums in the 90s: Jericho, High on the Hog, and Jubilation. Later in the decade, Aaron began accompanying Rick on the road, performing with him in his solo shows. He also was involved in the production of Rick's last two albums, Live On Breeze Hill and the posthumous release, Times Like These. These days, Professor Louie & the Crowmatix are busy both in the studio and on the road, performing not only in the Hudson Valley and the Northeastern US, where they have quite a following, but abroad as well. If you'd like to check out Professor Louie & the Crowmatix live--and help a very noble and significant cause at the same time--head to the Rosendale Theatre in Rosendale, New York, where the group will be performing a benefit concert for the Queens Galley (http://www.queensgalley.org/), a Kingston, New York-based nonprofit organization that provides awareness, education, relief, and prevention of food insecurity in America. The Queens Galley supports, creates, and implements programs dedicated to the affordable nutritional education of children, families, and seniors. The concert is being presented by WKZE, and tickets are $12.50. Attendees are asked to please bring a non-perishable food item for donation. For tickets or more information, call the Rosendale Theatre box office at 845-658-8989. For more information on Professor Louie & the Crowmatix, or the new album Whispering Pines, check out http://www.woodstockrecords.com/. Garth Hudson plays organ on the track "Friday Night", which also features Van Dyke Parks on accordion, on the new album Expando from the Eagles' bassman Timothy B. Schmit. Here's a photo of Garth and Maud Hudson on stage in Bergen, Norway, yesterday. From Tim Wood: "The Band photos on flickr -- new to me.. looks like Tour '74?" Maud and Garth Hudson are now halfway through their little Norwegian tour with "Jeffrey & the Free Radikals." After a few start problems at the first show in Drammen on Wednesday, they played a great gig yesterday in Oslo, which we attended with our house DJ, young Final, in tow. We enjoyed the rootsy opening set by Jeff Wasserman, and were then treated to a mixture of new songs, traditionals and Band classics. Maud's voice was strong and beautiful, Garth's playing blew us all away and the Radikal's (Jørun Bøgeberg on a vintage Fender Bass VI in particular) really rocked the joint. After the gig we spent some time back stage, talking to the Hudsons and enjoying the free drinks... Maud was hospitable and charming as always, and it was quite nice to watch master Garth and the young DJ discussing music production and possible collaborations in the future :-) The tour continues in Stavanger today and ends in Bergen tomorrow. You Norwegian West-coasters have something to look forward to. Garth and Maud appeared on nationwide Norwegian TV channel TV2 on Tuesday morning, to promote the current tour. Garth did an interview and played two songs, with Maud ("The Weight") and Wasserman/Bøgeberg. Photos and video clips from the program are available from TV2's web site (viewing the video requires Microsoft Windows and the Silverlight media player). "Checking Jim Weider's Pulse" -- review of the Pulse CD and interview with Jim. Includes some interesting comments about possible releases of '80/'90s The Band live shows. It's party time here at The Band web site: It's exactly 15 years since we first went on-line. Our webmaster was 35 then, today he celebrates his 50th birthday! Cheers to all Band fans, and a big "Thank You" to our friends, good helpers, musicians and contributors around the world for supporting us all this time. 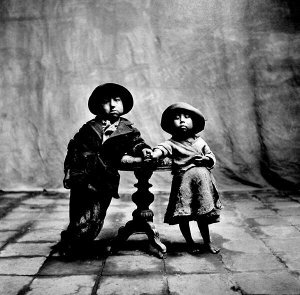 Renowned photographer Irving Penn passed away this week. Band fans may recall it was his photo of two Peruvian children which was originally intended to grace the cover of Cahoots. Thanks to Tim P. Goodall for the update. A live "I Shall Be Released" by The Band is included on the new soundtrack album Taking Woodstock. "ISBR" was not included in their 1969 Woodstock set(?). Anyone know where this live track on TW was recorded? It was brought to my attention that the announcement by Curve Music appears to be connected with my concerts in Norway and might be to promote my recent recordings in Toronto. In fact my project with Curve has no connection to this month's Norwegian tour. My wife Maud and I are in Norway to celebrate the release of our friend's album: Jeffrey & The Free Radikals (as previously posted). I will be performing my own compositions, pieces from my solo albums and include favored Band songs. I look forward to performing in the near future with artists who have been recording with me in Toronto. An announcement will be posted here as soon as it is planned. And of course we will make an official announcement about the tribute album when a release date is set along with some background about why and how this special tribute was done. Curve Music has been so excited that they jumped the gun a little bit with their announcement. But, we are glad you now know. I'm proud of it and can hardly wait for you to hear versions of Chest Fever, Tears of Rage, Ain't Got No Home, but we want to leave some surprises for you to discover when it's time arrives. Thank you for your many inquiries. We are excited about Norway and look forward to sharing my favorite Band songs with you soon. The Band's drummer in the '90s, the great Randy Ciarlante, has a new group called Left By The Wayside. Check out their web site for more info. I wanted to let you and readers of the page know I've received delivery of the new Rick Danko live 1987 and Rick and Richard live 1985 albums released by Bear Records in the UK. The sound and content is fantastic on both discs, especially the Rick solo one. HOWEVER: The back of the Danko album says (as do the liners) that tracks 22-27 on disc 2 are by the evenings support act Bob Margolin -- yet these tracks do not appear anywhere on the album. There are only 22 tracks on disc 2 and the Margolin support set is nowhere on either disc. If you want to see the video of our song 'Caledonia Avalanche Blues' dedicated to The Band, go here: thebeards.it/video. Other news is that on October 20th we release our new album Diggin' Fingers that includes remasters/remixes of our versions of 'Whispering Pines,' 'Million Dollar Bash' and 'This Wheel's on Fire,' plus a new version of 'The Night They Drove Old Dixie Down.' You can hear a preview of the album here: thebeards.it/releases-albums/. 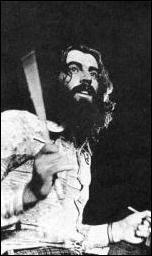 Here's a photo of Richard Manuel, back stage at The Last Waltz. Contributed by Brian Vasconi. Garth can be heard on three tracks on the new self-titled album from Jeffrey & the Free Radikals. Here's the poster/postcard for Garth Hudson's concerts in Norway this month. Garth and Maud Hudson in Norway! 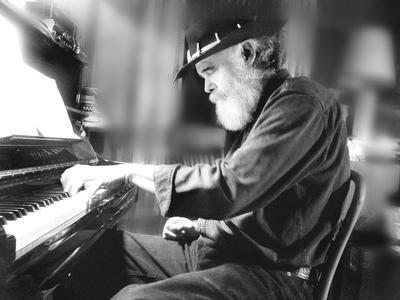 Rock 'n' Roll Hall of Famer, Grammy Award winner, master keyboardist GARTH HUDSON (of The Band) and his wife vocalist Maud Hudson will be performing new compositions, pieces from Garth's solo album The Sea To The North and their duet album LIVE At The WOLF, as well as songs from "The Band". Backing the Hudsons is Jeffrey & The Free Radikals (Knut Reiersrud, Reidar Larsen, Jørund Bøgeberg, Rune Arnesen) who are celebrating their new CD release. Garth contributed organ, keyboards, and accordion to a few tracks on the album. Jeffery A. Wasserman is presenting the opening set. 09/25/09, Klein Memorial Auditorium, Bridgeport, CT 8:00 p.m.
09/26/09, The Stanley Theatre for the Arts, Utica, NY, 8:00 p.m.
For more information, please go to levonhelm.com. "Alternate Take: Levon Helm" -- poem published this week in The New Yorker. Thanks to Simon Taaffe for the link. Colin Linden's three albums with contributions from members of The Band (When the Spirit Comes, South at Eight North at Nine, Through the Storm Through the Night) have been out of print for quite a while. They are now available (together with Raised By Wolves featuring Richard Bell) on the box set The Columbia Years. Thanks to Niels Amond Adsersen for the update. Nirvana (Charles Lloyd, 1968, featuring Robbie Robertson). Old Settler's Music Festival (Blackie and the Rodeo Kings, 2009). Red, Hot and Regal (Various Artists, 2009). You Heard Them Here First (Various Artists, 2009). From YouTube: "Ronnie Hawkins At The Clinton Inauguration", with Levon, Rick, Garth, John Simon and the reunited Band. Thanks to Butch for the link. Word is the Hollow Horn Encore Label has a copy of what they call the legendary Basement Tapes Safety Master. This was a tape reportedly made by Garth Hudson in early 1968, under full studio conditions, of the best available original master tapes made in the summer of 1967 and it features the bulk of the original songs that were recorded. This safety tape features truly breathtaking sound quality and also, in the majority of cases, features the material in its original glorious stereo (virtually none of this material has ever been heard in it's original true stereo -- including on the ridiculous official release!). Four tracks from other sources have also been included as bonus tracks, which also means that this set stands as a close to perfect one disc compilation of the Basement Tapes Dylan compositions. The Bob Dylan performance on that fateful night Aug 31, 1969 at the Isle of Wight is the subject of a fresh issue from the Hollow Horn Encore Label. The label claims their new release comes from a new source that is COMPLETE. All previous releases were mixes from various sources to make up the full Dylan show. This edition features the entire performance (other than the end of the final song) from one source recording, reportedly made from the VIP enclosure right in the front of the stage. The title is Mighty Mockingbird. There's also new unofficial Japanese 3-DVD set out there titled The Last Waltz Celebration 1976, claiming to be "complete with naked sound". Here are details, track lists and a review of the set. Thanks to Jonathan Katz and Levi Albert for the updates. Please note that this web site does not support bootleggers. We have no information available about where or how to buy bootleg albums/unofficial releases. Looks like Levon Helm will be one of the guests in season 2 of the TV show Spectacle: Elvis Costello With.... The episode will be recorded at The Apollo Theatre in NYC on September 24, 2009, with Levon, Richard Thompson, Nick Lowe and Allen Toussaint. Thanks to Karl Gedlicka for the update. Check out Carol Caffin's Rick Danko tribute site for previously unpublished(? ), ultra-cool '60s pics of Rick Danko. Levon lost his voice while we were on the road on June. The good news is that a biopsy of his vocal cord a few weeks ago resulted in a diagnosis of no cancer, however he does need to remain on vocal rest so that he can heal. He was diagnosed with a lesion on his vocal cord from acid reflux which was removed by laser. He will sing again, following some rigorous vocal lessons with his vocal coach, but he does need to take it slowly. Thanks to you, his loyal and loving fans, he's been welcomed to the stage with shouts and cheers and sounds of encouragement through this healing process. Loads of nice stuff available from Jim Weider's Facebook store, including a great Pulse CD/t-shirt/poster/download bundle. The "Squirrels in Paris" video from Jim Weider's new album Pulse is now available on YouTube. "Austin City Limits Preview: Levon Helm of Bob Dylan's The Band". Thanks to Tim Wood for the update. Recommended reading: Garth did an interview with Kevin Young as the main featured keyboard article for the July/August 2009 issue of Canadian Musician. The article is available on-line, although through a rather cumbersome Flash-based user interface. Click the "Keyboard" text on the cover image, that'll take you directly to page 42 where the interview starts. There are a couple other interviews scattered around his, but you can pick Garth's out by reading the sections with a white background, it goes for a few pages. One of the other interviews is with Bill King. Thanks to dear Maud for sending us the link. GARTH and MAUD will be performing in Norway: October 14 Drammen/Union Scene - Hovedscenen, October 15 Oslo/Sentrum Scene, October 16 Stavanger/Stavanger Konserthus Hovedsalen, October 17 Bergen/Rick's. They are backed by Jeffrey & The Free Radikals... a band of top Norwegian musicians including Knut Reiersrud, Reidar Larsen, Jeff Wasserman (who is also our supp. ), Jørun Bøgeberg and Rune Arnesen. See CALENDAR page for more details. There's a pretty good five-page Levon Helm interview/article (including a photo of Lee at a Midnight Ramble over two pages) titled "Empire of Dirt" in the current issue of UK music magazine Uncut, written by The Band biographer Barney Hoskyns. "Rick Danko: Infectious Joy and Non-Showbiz Charisma" -- three-part 2008 article from Crawdaddy. Thanks to Jeff Nugent for the link. The Band's song "Chest Fever" is available for download on Rock Band 2, "the sequel to 2007's multi-million unit selling, genre-defining, cultural phenomenon Rock Band, the highest-rated music/rhythm game ever". The version used in RB2 is the live version from Rock of Ages. Thanks to 14-year old Nathan Thomas ("a Band fan since before I could remember") for the update. "Matriarch to The Band: She cooked, she comforted, she promoted Robbie" -- article about the late Rosemarie Robertson from The Hamilton Spectator this week, with comments from Ronnie Hawkins. October 14th, Union Rock, Drammen (billed as "Garth Hudson with guests"). October 15th, Sentrum Scene, Oslo (billed as "Garth Hudson of The Band with Jeffrey & The Free Radikals"). "Woodstock, The Band, and the Anagram Photographer" -- from Jim Linderman's blog. Link from J. Winkel. Robbie Robertson's mother, Rosemarie Chrysler Robertson, died last week. She was loved by all members of The Band, who called her 'Mama Kosh' when she would take them into her Toronto home and feed them in their Younge Street days as the Hawks in the '60s. We send our condolences to the Robertson family on their loss. May she rest in peace. Levon Helm is among the contributors to young Killian Mansfield's CD Somewhere Else, benefiting kids with cancer. The album is available for purchase from Amazon. New Canadian book on The Band: Whispering Pines by Jason Schneider. Thanks to Doug Richmond for the update. Gary Solomon and his The Band tribute group "The THE BAND Band" are currently playing shows around the Northeast US, and beyond. They are now performing the entire Brown Album live, on the 40th anniversary of its release. Band fans everywhere are coming out to see them these days, as they are the only tribute band around playing all Band songs in their original arrangements. Check them out at thethebandband.com! "The Band: A Tree With Roots"
"Bob Dylan and the Band: The Basement Tapes"
Both articles contributed by the author himself. "Pulse -- Jim Weider's Project Percolator" -- review from Jambands.com. New concert available from Wolfgang's Vault: Rick Danko, live at the Bottom Line, NYC, December 1977. Thanks to Bob Wigo for the link. Here's Steve Matteo's review of Electric Dirt, from Crawdaddy!. He attended Poughkeepsie Day School, Onteora and graduated NYU (pre med) with honors. As a boy Ezra leaned towards the wild life. He admired nothing more than wildness and sincerity, and committed himself deeply to the life of an adolescent frontiersman. The many adventures he embarked on as a boy became the material of his first stories, and as he grew older he learned to beguile his time with this gift for writing in solitude, and embroidering reminiscence till it shone in the dark. His stories are surely some of the finest of their type and age. To his disappointment this was barely recognized. His masterpiece the novel Misty's Lounge became an internet self-publishing sensation in 2004, while a small press in London printed two editions of some of his best very short stories, titled Vacuuming with Carolina and Toe-Hopping Actifed. "Yeah! ", she shouted in victory to the world, "We got away with everything!". We both laughed. We knew where that phrase came from. Maybe we were still invincible after all. She held her arms up and spun around, smiling at the stars the way someone smiles when they've lived through something very hard. She loved being alive. When I saw that, I remembered how good it was. I was glad she reminded me. Arms still aloft, she looked at me. Her eyes beamed youth in its greatest expression of strength, light and perfection. There were no more scars inside Danielle. "It's gonna' be a sweet memory," she said. Ezra died July 30th, 2009. Place of death: Tampa, Fla. Survived by his mother Libby Fagen, sister Amy Helm Collins, nephew Lavon Henry Collins, and step father Donald Fagen, all whom he loved dearly. All his friends in Woodstock, and all the people across the world who loved him and read his stories, will miss him for as long as they live. Libby, Amy and family thank you for your love and comfort during this trying time. A scholarship fund is being formed by the family, in memory of Ezra and they ask that, in lieu of flowers, donations be made to that fund. More information will follow. As mentioned here earlier: The unstoppable Zachary Richard recorded a cover of The Band's "Acadian Driftwood" as a duet with Celine Dion(! ), for his Last Kiss album that was released in Canada and the US in April this year. The track can now be heard on YouTube. Enjoy, music lovers (the end of the song, in particular...). And thanks to Brien Sz for posting the link in our guestbook. It's Garth Hudson's birthday today! We send our best wishes to Garth and Maud. 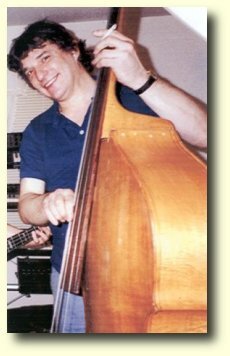 Several interesting new posts at Carol's Rick Danko site! "Playing 'Out' of The Band: Levon Helm Remains The Voice of America" -- review of Electric Dirt by Mark T. Gould. Be sure to check out guitar maestro Jim Weider's Facebook page. From rollingstone.com: "Buddy Guy, Levon Helm, CSN Brighten Gathering of the Vibes ". A PBS TV special titled "Levon Helm Ramble At The Ryman", recorded last September with John Hiatt, Sheryl Crow and others, will be airing nationwide this August 2009. Details and video clips available from levonhelm.com. "It has been reported over the past number of months that the dynamic duo (i.e. Robertson and Clapton) has shelved its album. Some have "guestimated" that it is because the two extremely creative musicians could not see eye-to-eye during its production. Robbie's son Sebastian recently responded to our question to him as to what the real reason is for shelving the album. He replied that Eric needed to spend more time with his young family and it would take away from the time and dedication that he and Robbie felt was necessary to create an album to their liking. Eric will be a part of Robbie's upcoming solo album though." Thanks to Niels Amond Adsersen for the update. "Electric Dirt by Levon Helm" -- Peter Viney's review. YouTube video: Levon Helm - "Tennessee Jed" on Dave Letterman, July 9, 2009 . Link provided by Fred Riess. "Levon's Bluesy, Electric Dirt" -- Finnish review of Levon's new album (and here's the original review in Finnish). Thanks to Pasi Tuominen for the links. "Band Vocalist Levon Helm Digs Up, Exposes 'Electric' Roots" -- rather sour review from channel3000.com. Thanks to "Comrade Trotsky" for the link. The iTunes version of Electric Dirt has two extra tracks, "That's Alright" and "Ashes of Love." Thanks to good ol' Harmie from the flatlands for the info. Electric Dirt is available at all music stores and online outlets today. You can also order directly from levonhelm.com! Levon Helm's music is being featured all day on WFUV (90.7 FM, Fordham U. Radio, Bronx, New York City) on Tuesday June 30th between 6 AM and 9 PM. This includes his music with and without The Band. This is in celebration of his new release, Electric Dirt, on Tuesday. WFUV has a live stream at www.wfuv.org (go to home page and at top click "Listen Live"). Added lyrics for a couple more songs from Levon's American Son album. Contributed by Chuck Knott. New review by our friend Kay Cordtz of Levon's new album Electric Dirt, from the current issue of Elmore Magazine. Garth Hudson did two gigs in NYC this week, with Martha Wainwright on June 15th and Joseph Arthur on the 18th, check the concert calendar at garthhudson.com for details (no West Coast dates planned, btw...). Garth appeared on albums by both Wainwright (I Know You're Married But I've Got Feelings Too) and Arthur (Temporary People) last year. Helmland Outlaws, the official Levon Helm Fan Club -- become an outlaw today! "A Recent Encounter with Robbie Robertson" -- 1970 interviews with Robbie and John Simon, about film projects and the then-unfinished Stage Fright album. Article scan by Bill Munson. "Live review: John Prine, Levon Helm @ Red Rocks Amphitheatre" -- from yesterday's Denver Post. You are wanted: Become a member of The Helmland Outlaws, The Levon Helm Official Fan Club! "Concert review: The Band fans love Levon's new band" -- from the Star Tribune 06.11.12009. "'Rock of Ages': A crackling, mind-blowing moment preserved" -- 1972 article copied from rollingstone.com. Another 1972 article from our friend David Besterman: "'Rock of Ages': The Band Breaks Its Leafy Silence". For those of you that haven't been to our "library" yet: Check out the articles section, quite a lot of good stuff there. "The Band's out of hibernation and it was worth the wait" -- 1974 article with interviews with Garth Hudson and Ronnie Hawkins. Contributed by Bill Munson. "Waiting For The Punchline" -- 1972 review of Rock of Ages. Thanks to our old friend Dave Besterman for scanning the original article. Michael Lenahan -> Maud Hudson: Hey Maud, any new info on the box set that you and Garth were working on! Maud Hudson: it's still coming ... while we are finishing a few other projects in the meantime ... we'll post the dates as they become available for each project. thanks for asking. "Larry Campbell: On making music with Levon Helm and Bob Dylan" -- article/interview posted this Monday at minnpost.com. Link provided by Mike Hayward. Atlantic City, NJ, August 29. New York City, September 2. See the Black Crowes official web site for details. More Levon Helm concert dates and tickets available from levonhelm.com. A new web site for Jonas Fjeld has been developed by students at the same college that hosts The Band site. Jonas' site is in Norwegian (although with an English auto-translate function, click the little Union Jack), except for a new bio that was expertly written by our dear friend Carol Caffin. Check out the video section with loads of digitized VHS tapes, including a legendary Norwegian 1993 TV program about the Danko/Fjeld/Andersen trio, with footage of Rick Danko "skiing" in the Norwegian mountains! Visit Amazon's Levon Helm Store: All the music, the history, photos and discussions. New Summer 2009 concert dates for Jim Weider's PRoJECT PERCoLAToR. From npr.org: "Levon Helm: Still Keening After All These Years". Sound samples from Levon Helm's new album Electric Dirt are now available from levonhelm.com. "Bill and Hillary look for new digs: A real estate campaign" -- article from today's NY Daily News, mentioning Levon and the Rambles. Thanks to Carol Caffin for the link. The CDs are already availabe for pre-ordering. Thanks to Graeme Wallington for the info. "Levon Helm recalls playing with the Band at 1969 Woodstock festival" -- new interview from the Times Herald-Record. Thanks to Rick S. for the link. The new CD from Jim Weider's PRoJECT PERCoLAToR, Pulse, is now available from jimweider.com. This record was recorded live in three days at the famed Allaire Studio, Shokan NY, featuring: Jim Weider - guitars, Rodney Holmes - drums, Steve Lucas - bass, Mitch Stein - guitar, plus special guests! Pulse is a multimedia CD that also has two video's on it: "Squirrels in Paris "and the recording of "Pulse "at Allaire Studio's! Check out the video "Squirrels in Paris" on jimweider.com. Jim Weider has been in the studio Recording a new CD for Canadian Artist Dean Batstone. Jim has also been playing with the Levon Helm Band at his Midnight Rambles in Woodstock, NY, and is getting ready to do a tour in June with the Levon Helm Band in the US(!). Jim Weider appeared with Levon Helm and Garth Hudson in "Song to Soul", a 60-minute weekly music documentary program on The Band, on the Tokyo Broadcasting System in Japan. The show was aired on May 13th at 11 PM all over Japan, on a satellite channel of TBS called BS-TBS, and rerun on the following week on May 20 at 11 PM. TBS is one of the largest and the most popular networks in Japan. "Levon Helm, Jefferson Starship, Country Joe to Play Woodstock 40th Anniversary Show". Electric Dirt, the new album from Levon Helm, can now be pre-ordered from levonhelm.com! Added the "album" Robbie Robertson - The Band: The Rhapsody Interview to the list of promo. discs, interview albums and oddities. Check out this new article in Crawdaddy by our friend Carol Caffin: "Nobody Does It Better Than Phil Ramone". It mentions The Band, and at the end, there is a YouTube clip of Phil talking about Rock of Ages. A new track from Levon Helm's yet unreleased Electric Dirt album, "White Dove," can be heard on the promo CD Caroline Distribution Record Store Day Sampler, released by Caroline Dist. on April 18th to promote "Record Store Day". The Band's guitarist in the '80s and '90s, Jim Weider has just released the album Pulse, recorded with his jam band PRoJECT PERCoLAToR. Pulse is available from jimweider.com. Check out the great video for the track "Squirrels in Paris"! This one's pretty cool: A video with Woodstock locals (including Elliott Landy!) reminiscing about our boys back in the day. Thanks to Butchie for posting the link over there at the lovely BFB. "Levon Helm returns with Electric Dirt on June 30th -- new CD is follow-up to Grammy winning release Dirt Farmer" -- press release from levonhelm.com with cover art, track list and more details about the new album. The Last Waltz Revisited -- tribute concert in Belfast, Northern Ireland in May. 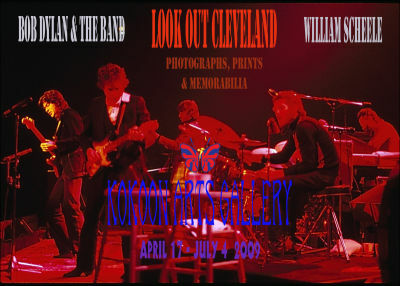 Opening on April 17th & 18th (exactly 40 years since the day The Band played their first concerts at Winterland in San Francisco) at Kokoon Arts Gallery in Cleveland, OH: Look Out Cleveland -- an exhibition of Bill Scheele's prints, photos and memorabilia from his days with The Band & Bob Dylan. See the press release for more info. A gem from YouTube: Richard Manuel singing "You Don't Know Me" in Vancouver in 1983, at the final concert of The Band reunion tour. This performance was not included on the officially released concert video, but was only available on pay TV in Canada. Thanks to Kevin J for the link. "Jan Hoiberg has built a living museum. On the internet." Zachary Richard has recorded a cover of The Band's "Acadian Driftwood," a duet with Celine Dion(! ), for his forthcoming album Last Kiss. To be released on April 7 in Canada and April 21 in the USA. Thanks to Greg Przygocki from Toronto for the update. "Helm, Robertson, Hudson to sign contract with Steven Spielberg's DreamWorks"
"The Band's Garth Hudson Donates Beard to Save Rainforest"
"Levon takes his Midnight Ramble on World Tour with stellar cast of guest artists"
"Saab releases limited edition Big Pink model"
"Levon Helm back at Madison Square Garden in May, for the First Time in 33 Years "
"Rock legend Levon Helm records hip-hop version of Grammy-winning album"
Now that all three surviving members of The Band have their own official sites, The Band web site has served it purpose. We will close down today, at midnight EST. All contents of this site will be transferred to the editors of the recently launched Robbie Robertson Facebook and MySpace pages, for free use and inclusion there. You may post your goodbyes and final messages to other users in our guestbook. Thanks for the ride. "Simcoe Bono-fide: The late Simcoe musician Rick Danko continues to make a big impression on contemporary popular music" -- recent artice from the Simcoe Reformer. Midnight Ramble, Levon Helm Studios, Woodstock, NY, April 4, 2009, w/The Bacon Brothers. Midnight Ramble, Levon Helm Studios, Woodstock, NY, April 18, 2009, w/The Organiks. Imus At Night, Mohegan Sun in Uncasville, CT, April 16th, 2009. Red Rocks Amphitheatre, Morrison, CO, June 13, 2009. Cain's Ballroom, Tulsa, OK, June 16, 2009. Walton Arts Center, Fayetteville, AR, June 18, 2009. Tickets and more info available from levonhelm.com. "Robbie is currently working with Martin Scorsese on the music for his upcoming film Shutter Island. A fifth solo album is currently in the works." Norwegian fiddler Hallvard Bjørgum's new CD Peace Will Come includes five previously unreleased recordings with Rick Danko. Garth Hudson is also present on the album. Sound samples are available from musikkonline.no. Best of luck to Levon Helm with the "Ramble On The Road" concerts at the Beacon Theatre in New York City tonight and tomorrow night. The Beacon gigs in 2007 and 2008 were incredible, go see this if you can! Looks like tickets still are available from Ticketmaster. 23 years ago, on March 4th 1986, we lost the great Richard Manuel. Too soon gone. Neko Case's new album titled Middle Cyclone will be released March 3rd. The songs Garth performed on are: "The Pharaohs" - Garth played organ / "Don't Forget Me" - Garth played piano (a Harry Nilsson cover) / "Polar Nettles" - Garth played piano. Listen to these three songs and more at myspace.com/nekocase. Van Morrison was interviewed by Don Imus on the Imus in the Morning radio show this week, talking about his work with The Band. The whole 24-minute interview is available on-line. Norwegian singer/songwriter Jonas Fjeld, who made two albums with Rick Danko in the '90s, released the CD Brother of Song this week, a project recorded with North Carolina bluegrass band Chatham County Line. Top reviews in national media over here, highly recommended. Check out this press release from the great Chris Bergson Band! Here are 10 "new" photos from Tour'74, posted on Facebook. "Levon Helm: Rambling on the Roots" -- PBS article with video clips from the Ramble and a good audio interview with Levon and Larry Campbell, mentioning a follow up to Dirt Farmer, tentatively titled Electric Dirt. Jorma Kaukonen's new album River of Time was recorded at Levon Helm Studios, with Levon playing drums on three tracks. Thanks to Niels Amond Adsersen from Denmark for info and scans. The Levon Helm Band will perform on Late Night with Conan O'Brien tomorrow, Tuesday, February 10th. Best wishes for our friend and Band-Levon cohort and fan extraordinaire, Mr Butch Dener, on his 5*th birthday, from us here at The Band web site. No Beacon gigs for us this year, Butchie, but we may take the family(!) for an upstate experience later this year (you "Butch who? "s, go here, here, here, here, and here). Our wonderful friend Carol Caffin has done some great research again: Read her interview with Terry Danko about the previously unpublished recordings with the Pencils, featuring Richard Manuel, that was posted on YouTube last week. The great John Martyn left us yesterday. John was a friend of The Band since the Woodstock days in the late '60s, who recorded two albums with contributions from Levon Helm (1970's Stormbringer! and No Little Boy from 1993). May he rest in peace. Some of the '90s The Band t-shirts from Not Fade Away are still available from the eDeadshop. Link by Tim Wood. Wow. A previously unpublished recording, "Any Way to Say Goodbye," written by Richard Manuel with Richard on lead vocal on the first verse, has just been posted on YouTube. This is from the 1980 sessions for an unreleased album by "Terry Danko, Marty Grebb & Friends" aka "The Pencils." The album was recorded at the Beach Boy's Studio, "One Step Up" in Van Nuys, CA. The clip is from a cassette-to-CD transfer, as the original masters are lost. More info about the sessions available on YouTube. Thanks to Tim Wood for the link. Check out Carol Caffin's new Rick Danko Facebook page. A new book with photos from Levon Helm's Midnight Rambles is now available for pre-ordering from amazom.com. Tickets for Levon Helm's Ramble on the Road gigs in New York City, at the Beacon Theatre on Broadway, Thursday, March 5th and Friday, March 6th, are now on pre-sale from concertmaps.com. We caught Lee at the Beacon both in 2007 and 2008, and hope to be over again this year. These gigs are fantastic and sell out fast, so get your tix now! Happy 30th anniversary Garth and Maud Hudson! Garth Hudson guests on two self-released 2008 albums from Paul McKay and The Perfect Strangers: Project Light and Evening Bird, and also on Duane Carleton's American Boy and Michael Falzarano's We Are All One. More tracks from the sessions with Levon and Garth that produced the 2004 CD The Howlin' Hill Project, have been released under the title Angels Serenade. Thanks to Peter Viney and the good people in the guestbook for the information.